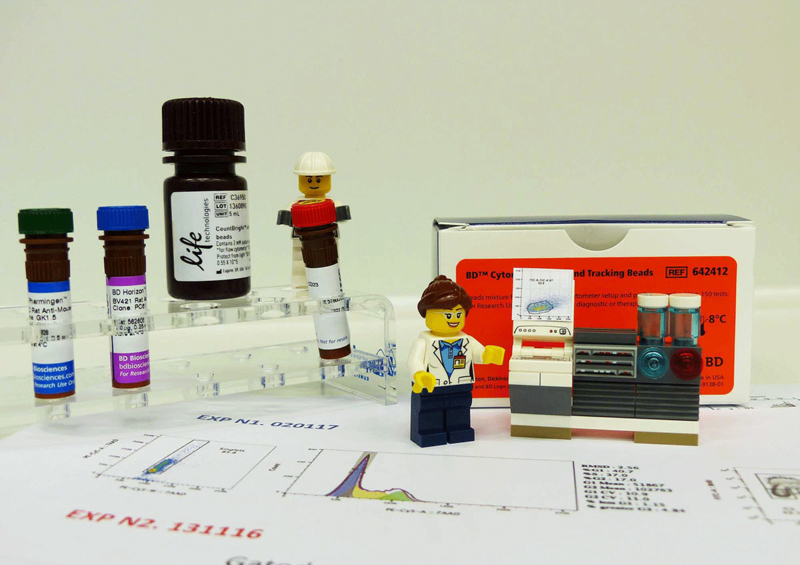 Flow Cytometry and Cell Sorting courses coming soon! 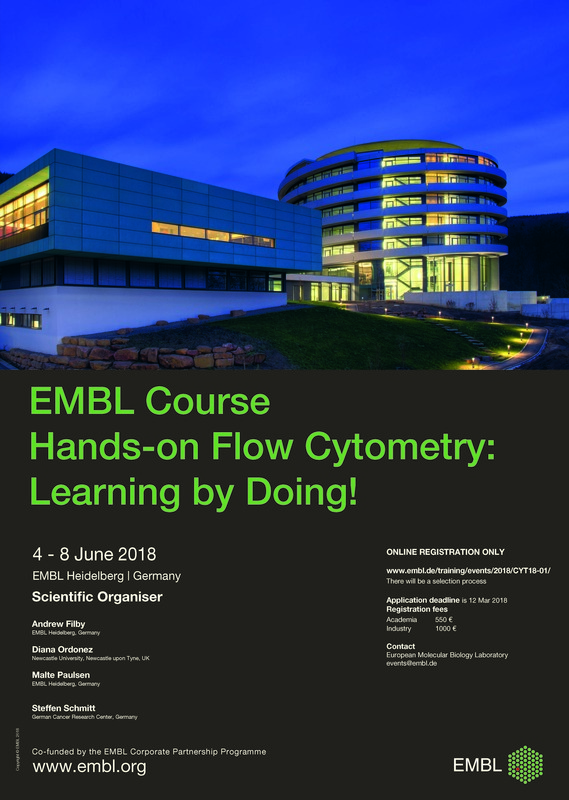 A new edition of the “Hands on” Flow Cytometry Course will take place from 4-8th June 2018 at EMBL Heidelberg in collaboration with the German Cancer Research Center (DKFZ). The course is designed for researchers at any step of their career and will cover the subject from basic principles to complex assays, with a big emphasis on practical work at the instruments. As nothing is better than learning by doing, we have a great set of experienced trainers in this technology delivering lectures and accompanying you into the lab doing flow on your own. In line with the suggestions from our course in 2017, we will significantly enhance the number of analysis sessions together with our partners from FlowJo. Data generated during the course will be analyzed and discussed during the session. Registration is open until the middle of March 2018. Please note that we have a couple of stipends and travel grants which we will make available to qualifying participants. The course program included a balanced mix of cell sorting theory and practical sessions, accompanied by social events that fostered networking and scientific discussion. We received a very positive feedback from the attendees who enjoyed the selected topics, discussion with the trainers and especially the opportunity to operate different sorter types. We hope to repeat this course in 2019 with an improved program including a section dedicated to sorting gates as suggested by the participants. “This training provided valuable information of the lecturer’s personal experience, which cannot be found in textbooks or publications. I highly appreciate the willingness to share detailed information”. “A very good mix of trainers and an excellent trainee-to-trainer ratio allowed to maximize the discussion and gather valuable contacts”. We are very glad to announce the 1st. 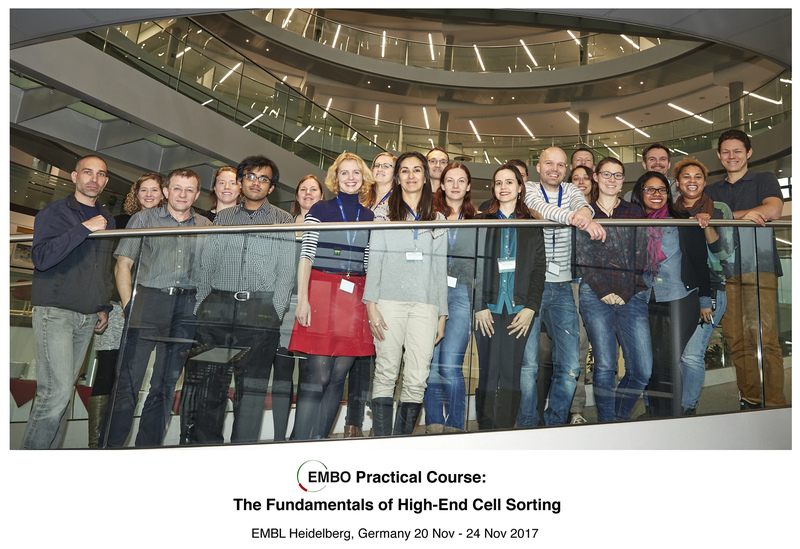 EMBO Practical Course in High-End Cell Sorting taking place from 20-24th November 2017 at EMBL Heidelberg and the German Cancer Research Center (DKFZ). 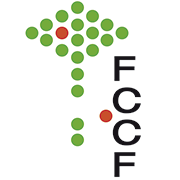 The course is intended for Ph.D. students and postdocs who are starting to use, or already using flow cytometry based cell sorting in their research projects. Applicants with some previous active knowledge of basic principles of flow cytometry and a regular use of flow cytometers in daily research will profit most from the content of the course. 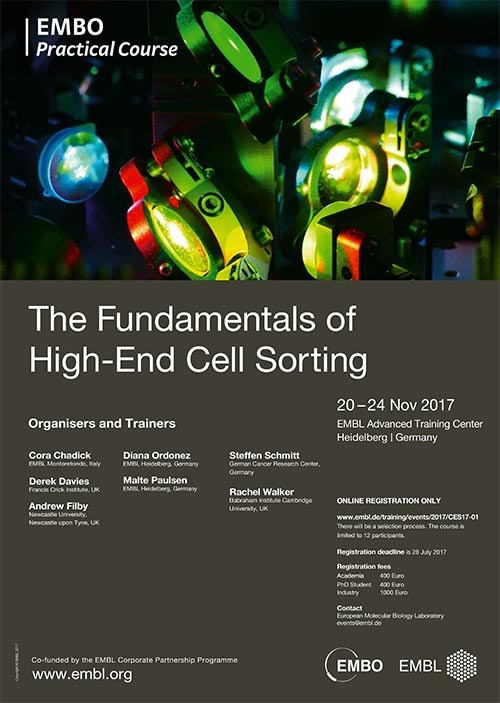 The topics covered will be the common principles of cell sorting and how to correct or avoid technical insufficiency, performing single cell sorts for sequencing or any other common downstream method. The course will provide knowledge transfer from EMBLs Gene Core with regards to single cell genomics. Our main aim is to provide our attendees with the right knowledge and experience about cell sorting so that they can go back to their research with high confidence about their sorts. 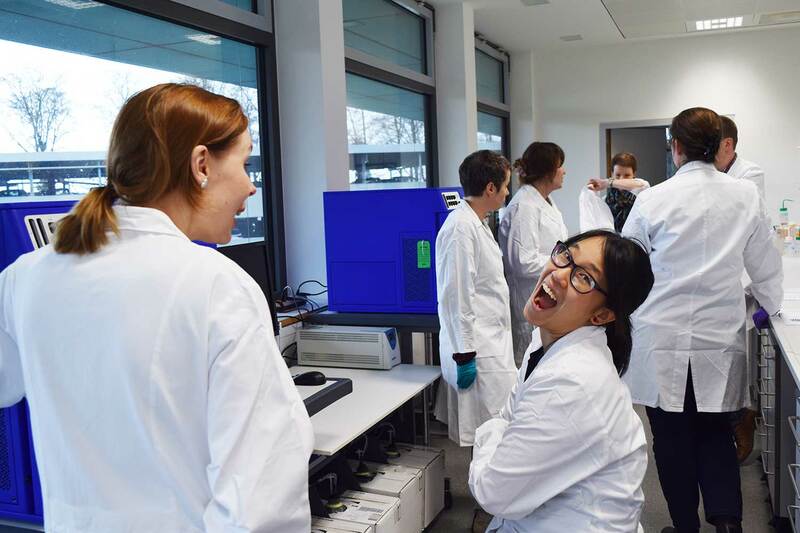 A first edition of the EMBL Course Hands-on Flow Cytometry took place the second week of February 2017 at the training labs of the ATC building. 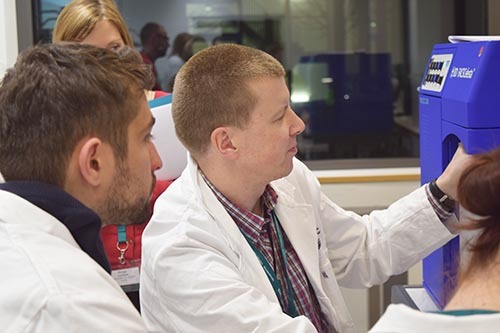 The course was organized by the EMBL-Flow Cytometry Core Facility in collaboration with highly qualified speakers and instructors from the German Cancer Research Center (DKFZ), Newcastle Univesity and the Flow Cytometry of EMBL-Monterotondo. For this course, we received 80 applications from all over the world, from which 16 participants were selected based on their needs and motivation to learn “a bit more” about Flow Cytometry. The course covered fundamental theory about this technique with a big emphasis on practical work. Attendees had the opportunity to perform labeling and cell cycle experiments at the bench and get familiar with experimental set-up and sample acquisition directly on the cytometers. We got a very positive feedback from the participants and a second edition of the course will take place on June 4-8, 2018. More information in the following months!.